My father suffered silently with arthritis for the last decade of his life. Aspirin gave him some pain relief but, frankly, what worked best for him was movement. He walked a lot. He and my mother first joined and then led a hiking group based in their winter home of Tucson, Arizona. I suppose I’ve inherited this love of hiking, or rather ‘tramping’, from my parents. What I would not like to inherit from them is arthritis. Arthritis is New Zealand’s leading cause of disability, according to Sandra Kirby, chief executive of Arthritis New Zealand. For a long time I have been a health researcher and educator. I am not a doctor. We are blessed to have a group of truly caring GPs in the Far North. Please see your doctor about your health concerns. But please do whatever you can to improve your health in an allopathic or complementary way. I’m sure our many good doctors would agree that it is important for each individual to take responsibility for their own health. Our tramping group is seasonally joined by people visiting from other countries. One such person was describing to me how he had recently been diagnosed with diabetes and arthritis. Initially he took medication for his arthritis but he stopped after a short time because of unpleasant side effects. With the help of his wife he is now managing both ailments through changes in diet, specific stretching exercises, walking and swimming. He is pleased with the results of the changes he has made. 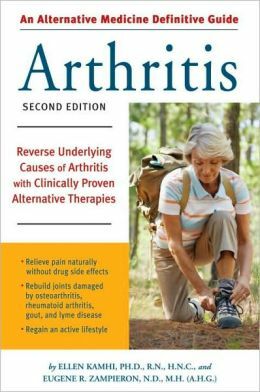 I have beside me three books on arthritis: Say No to Arthritis : The Proven Drug-free Guide to Preventing and Relieving Arthritis, Arthritis : Reverse Underlying Causes of Arthritis with Clinically Proven Alternative Therapies and Athritis Relief at Your Fingertips : How to Use Acupressure Massage to Ease Your Aches and Pains. 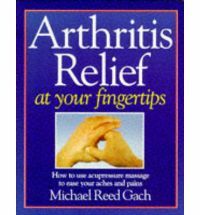 Each of these books states emphatically that one need not be a victim of arthritis, that each sufferer can make changes right now to alleviate pain and immobility. 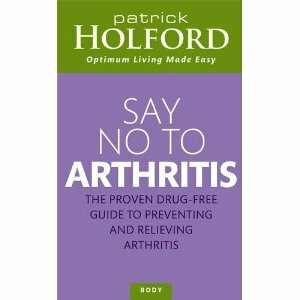 Changes in diet, use of herbs and self-massage are only a few of the options available for anyone dealing with arthritis. There is even evidence that adding the mineral boron to your daily supplements can help greatly. Israel has one of the lowest per-capita incidences of arthritis and it has one of the highest natural concentrations of boron in its soils. Boron is obtainable from your chemist. It is a necessary trace mineral. Don’t lose hope and help yourself and your physician to help you attain better health. Even rubbing the web between your thumb and index finger can provide pain relief. Don’t take my word for it. Do some independent research and put into practice some of the myriad harmless means to improve your health and wellbeing.